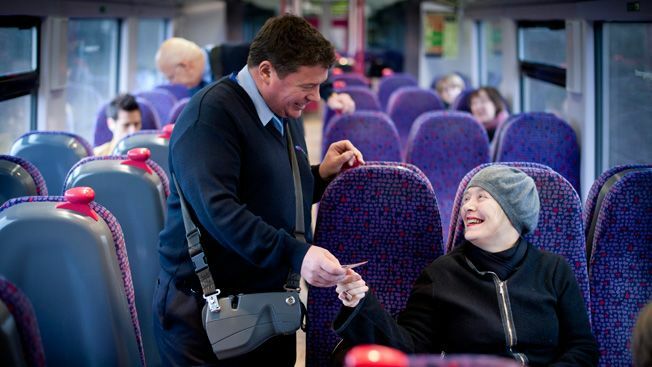 Older and disabled people are amongst those who can enjoy discounts on travelling by train by taking up railcard offers. Northern Rail has created this quick guide to the benefits of railcards in the UK and how to apply for them. In terms of comfort, availability and ease of access, train travel remains one of the best forms of public transport. It is particularly popular with seniors and the disabled, because of the accessibility options that most train stations and carriages now provide. As governments have encouraged more people to use trains for public transport over the years, they have improved those accessibility options. Governments have also provided discounts for specific rail users who may depend on public transport for financial reasons or because they are physically impaired. This article will walk you through the process of applying for these discount cards. The Senior Railcard is available for any UK citizen who is over the age of 60. It costs £30 per year. It’s important to understand that the card is not valid when travelling between two stations inside London and the South East area during morning peak time. Also the card can’t be used to obtain a discount on Eurostar tickets, season tickets, some train companies already offering discounts, tickets for charter trains and most London underground and docklands light railway tickets. Seniors can also purchase a three-year Railcard for £70, giving an additional saving of £20 compared to buying annual cards. There are three ways you can obtain a Senior Railcard: online, at a station ticket office or by phone. Online. To buy a Senior Railcard online, the applicant will need a valid passport or a UK driving licence. They will also need a valid debit card or credit card. Then they can simply visit the Senior Railcard website to begin the process. The railcard will then be sent out via the mail within five days. At the station. A Senior Railcard can be bought at any staffed station ticket office or National Rail-licensed Travel Agent. The applicant can either fill in the application form at the ticket office or download the form and complete it before going to the station. The applicant will need to take one form of identification to prove their identity and age —birth certificate, passport or a UK driving licence are all ideal. They can then register the card online if they wish to renew it via the website at a later date. By phone. Call 0345 3000 250 (07:00-22:00 any day except Christmas Day). Calls are charged at the national rate. Applicants will need a valid passport or UK driving license. The railcard will then be posted out within five days. The Senior Railcard can be used to order tickets via the Internet, phone or at a station ticket booth. The holder should always carry their Senior Railcard with them while travelling and present it to ticket inspectors if asked. As with the Senior Railcard, the Disabled Persons Railcard offers 1/3 off rail travel. The card also includes discounts for museums, theatres, sightseeing companies, and hotels. The Disabled Persons Railcard only costs £20 annually but there are stricter eligibility guidelines which differ depending on a person’s disability. Receives Personal Independence Payments (PIP).The applicant will need to present a copy of their award letter. Receives Disability Living Allowance (DLA) at the higher or lower rate for the mobility component, or the higher or middle rate for the care component. The applicant will need to supply a copy of their award letter. Has a visual impairment. This requires a copy of the applicant’s Certificate of Visual Impairment (CVI), BP1 Certificate (Scotland) or BD8 Certificate for being registered blind or partially-sighted. Has a hearing impairment. Againa copy of the award letter will be needed. Has epilepsy and has repeated attacks despite medication or is prohibited from driving because of epilepsy.They will need a copy of their Exemption Certificate for epilepsy medication and a photocopy of their prescription for drugs in line with the National Society for Epilepsy guidelines or a photocopy of their letter from the DVLA telling them that they are unable to drive. Receives Attendance Allowance or Severe Disablement Allowance. This requires a copy of the award letter. Receives War Pensioner’s Mobility Supplement. This also requires a copy of the award letter. Receives War or Service Disablement Pension for 80% or more disability. This too needs a copy of the award letter. Buys or leases a vehicle through the Motability scheme. The applicant will need a recent copy of their leasing or hire-purchase agreement. Apply online by visiting the Disabled Persons Railcard website to fill in an online form. The applicant will need a scan or photograph of the paperwork proving their disability. They will also need a valid debit card or credit card. Allow five working days for the Railcard to be delivered. Make cheques and postal orders payable to “Disabled Persons Railcard”. Allow 10 working days for the Railcard to be delivered. A Disabled Persons Railcard can be used when ordering a ticket via the Internet, phone or at a station ticket booth. Cardholders should keep the card with them during the journey. By contacting the train company that they will be traveling with, at least 24 hours in advance of the journey. The phone numbers are available on the National Rail website. By completing an online form via the Disabled Persons Railcard website. Passengers can ask for assistance at the origin station, destination station and stations between the two locations. Help may be available by simply asking at the ticket counter, but that is not always the case, so should not be relied upon. Some railway stations also have scooters to help people with mobility issues navigate the train station. It is important to understand that only some stations have staff on hand to provide assistance, so it is crucial to book ahead and plan a trip thoroughly. Northern Rail connects tens of thousands of people to work, leisure, education and more every day in the North of England. Why not join the family to receive our free newsletter and access our range of helpful guides? Just click on the box below.